This is an important meeting that we encourage all residents to attend. 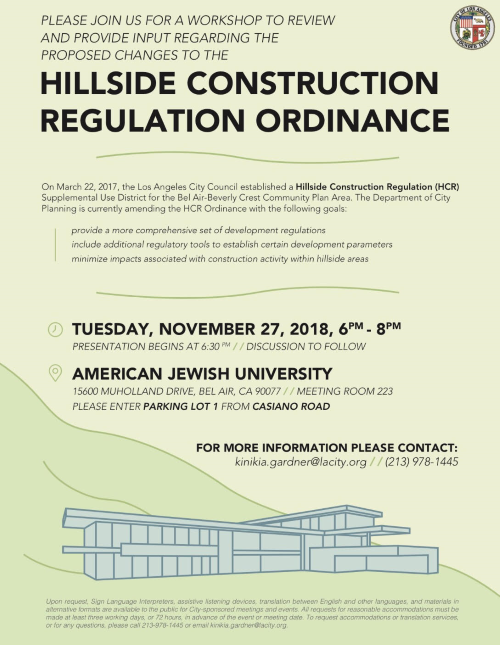 Laurel Canyon Association is working to get the Hillside Construction Regulation Ordinance amended to provide additional needed protections. Feel free to contact us if you have ideas at landuse@laurelcanyon.org.